OPEC smashed an all-time oil production record in July, pumping relentlessly despite the low prices. 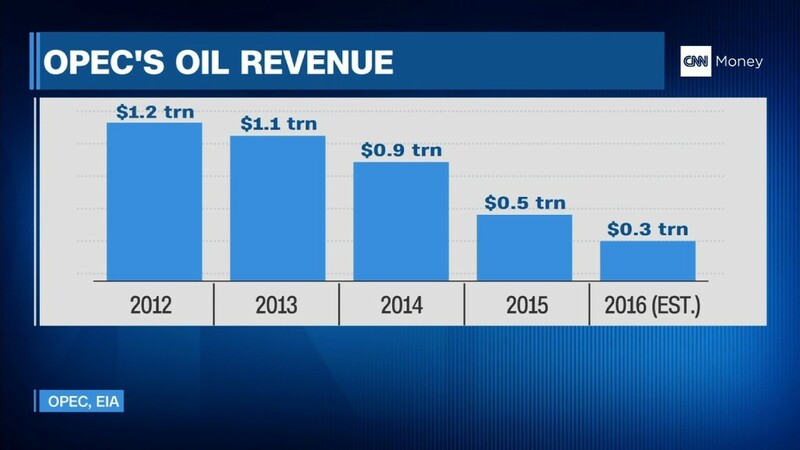 The oil cartel produced just over 33.1 million barrels of oil per day in July, up 46,400 barrels compared to June, it said in a new report released Wednesday. That's over a million barrels a day more than it produced on average in 2015 and 2 million more than in 2014. OPEC confirmed OPEC crude oil production achieved a historical record in July. The cartel has been pumping relentlessly for the last two years, aiming to defend its market share despite the collapsing oil prices. OPEC produces just under 35% of crude oil globally. That compares with the low of 32.6% it controlled in April 2014. Saudi Arabia is leading the pack, producing nearly 10.5 million barrels per day in July, up 30,000 compared to its output in June and also a new record high. Iraq, Iran and the United Arab Emirates also increased their output last month, making up for the lower production in Nigeria and Venezuela. Venezuela's production dropped further 20,000 barrels a day in July, hitting a fresh 13-year low. Meanwhile, non-OPEC oil supply keeps dropping. Total production in the United States, including crude and other forms, is expected to drop to an average of 13.6 million barrels a day this year, a drop of almost 3% compared to 2015, according to the report. Many U.S. producers were hit hard by the collapse in oil prices. The number of U.S. oil rigs has dropped 77% since its peak in December 2014. U.S. crude futures slid 1.3% on Wednesday to just above $42 per barrel. OPEC announced plans on Monday to hold an unscheduled meeting late next month in Algeria. Non-OPEC member Russia, the world's largest oil producer, opened the door to joining the "informal" meeting. All of this is fueling speculation that major oil producers could announce moves to stabilize oil prices, which recently fell back below $40 a barrel from over $50 two months ago.